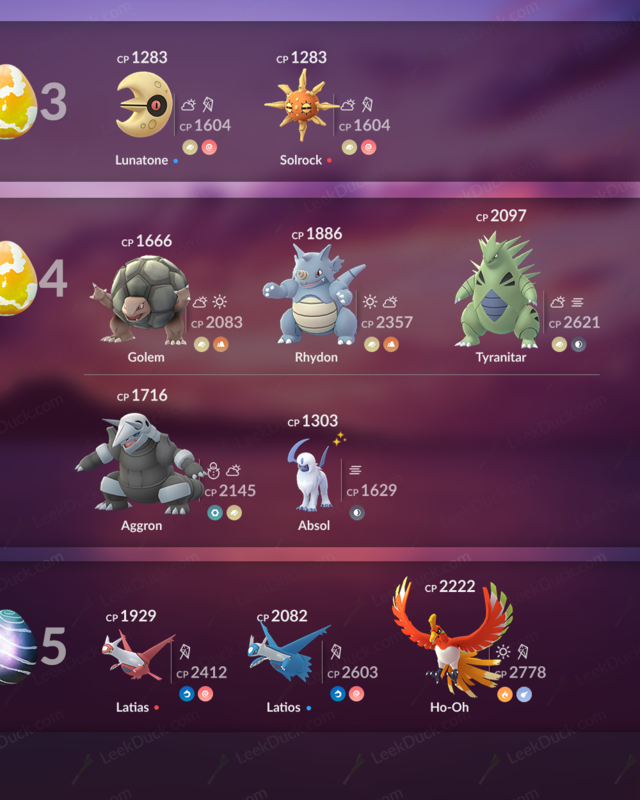 These are the Raid Bosses during the Adventure event. They arrived on May 24th. They are expected to change at the end of the Adventure event on June 5th. Lunatone and Solrock are Regional Raids. Lunatone is still only avaliable in Europe, Asia, and Oceania. 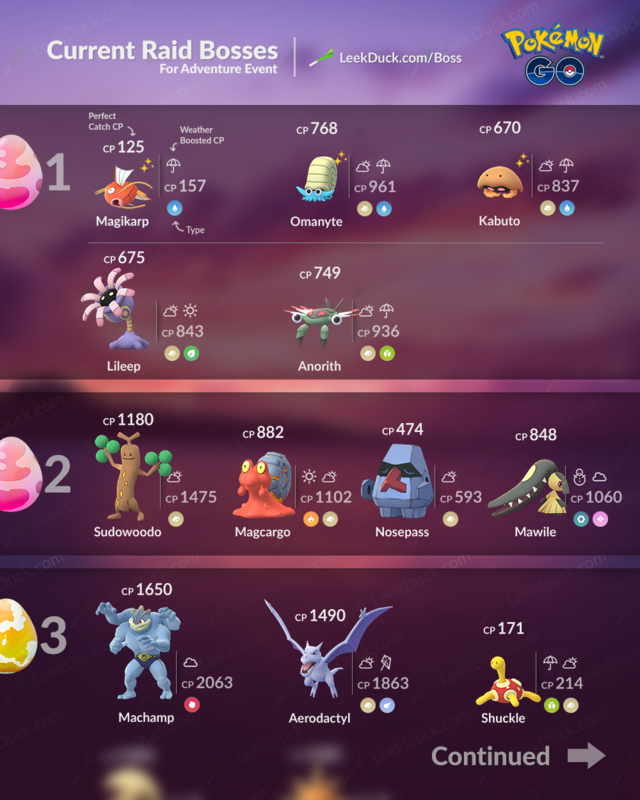 Solrock still only avaliable in the Americas and Africa. You can find the single page version on Imgur.